We've had a fairly mild winter here in North Idaho. 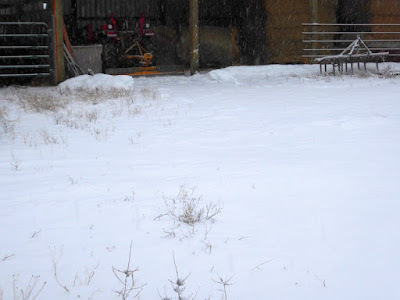 When it snows, it's just a couple of inches and it melts quickly, so most of the time we have bare ground. And boy was he right. 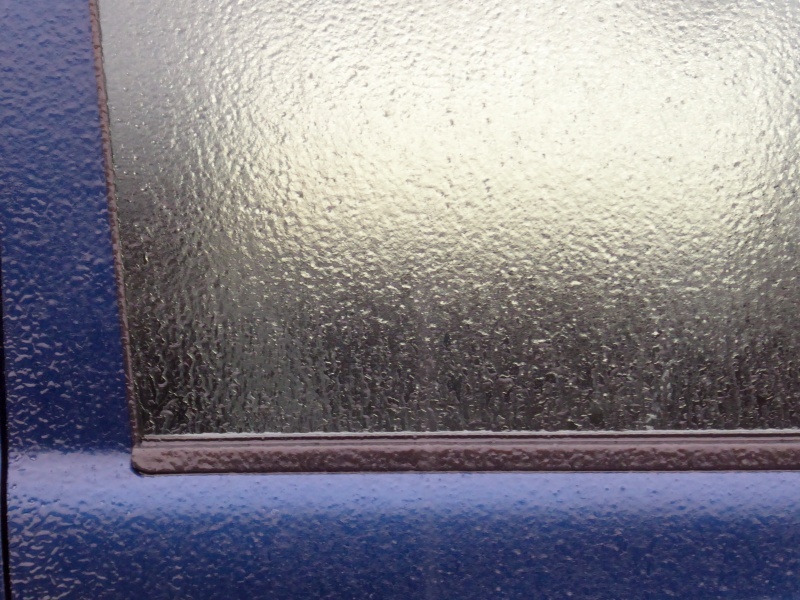 It was a sheet of ice outside. No amount of doing the Tim Conway "Old Man" shuffle worked. It was wildly dangerous to do chores. 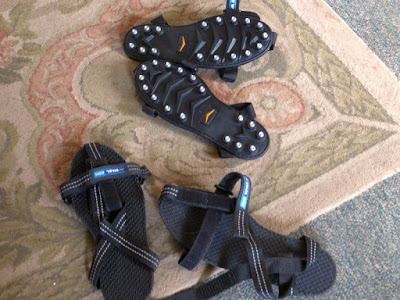 Ah, but this year we have a secret weapon: strap-on ice traction cleats. This particular brand is called Stabil Icers , but there are many brands on the market. We've tried cleats before. A few year ago, I purchased a relatively inexpensive pair, strapped them on, and tried walking to our mailbox and back (a three-mile round trip). Within half a mile, the cleat straps broke. So much for that pair. This time we purchased high-quality versions. Apparently the individual cleats are replaceable if they ever wear out. 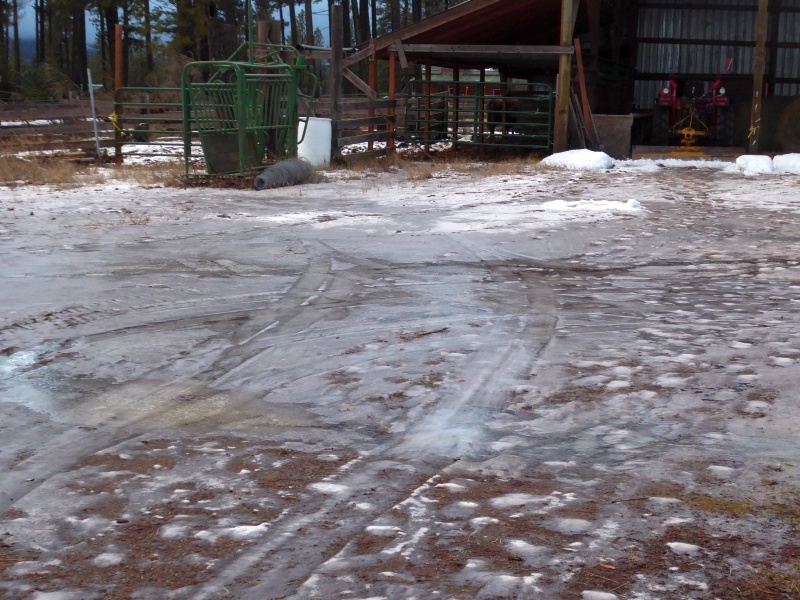 When the ice sheet formed that day in mid-December, Don strapped the cleats on my boots and I went out to do chores. The contrast was stunning. I could walk with perfect confidence on the slipperiest surfaces. Yowza, good investment! But poor Mr. Darcy went sliding under these conditions until we got him into the pasture, where he could run. Shortly after this adventure, we had a light snowfall over the ice, which made things even more treacherous (nothing like invisible ice!). But the cleats worked perfectly. Fast forward to yesterday. It was raining, as the weather report predicted. What I didn't know was it had rained overnight, then frozen, then rained again. I mean, look at this. It looks just like bare wet ground, doesn't it? In fact, it was water over a sheet of ice. 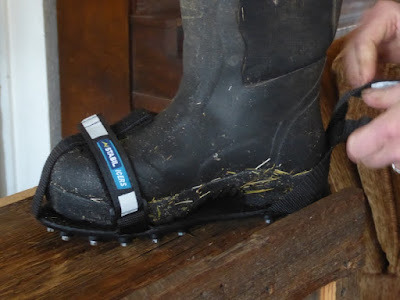 I found this out when I put on my snow boots and went out to do barn chores. My feet flew out from under me and I slammed to the ground, cracking the back of my skull against the ice so hard I saw stars. I remember rolling over and scrabbling around on my hands and knees, muttering "Where are my glasses? Where are my glasses?" with irrational panic. (Any near-sighted person will understand the conundrum of being unable to see far enough to see where one's glasses are.) It took a few moments to realize the impact had shoved my glasses up on top my head. I crawled back into the house, stunned from the blow and feeling aches in my spine and neck. A painful knot developed where my skull hit. 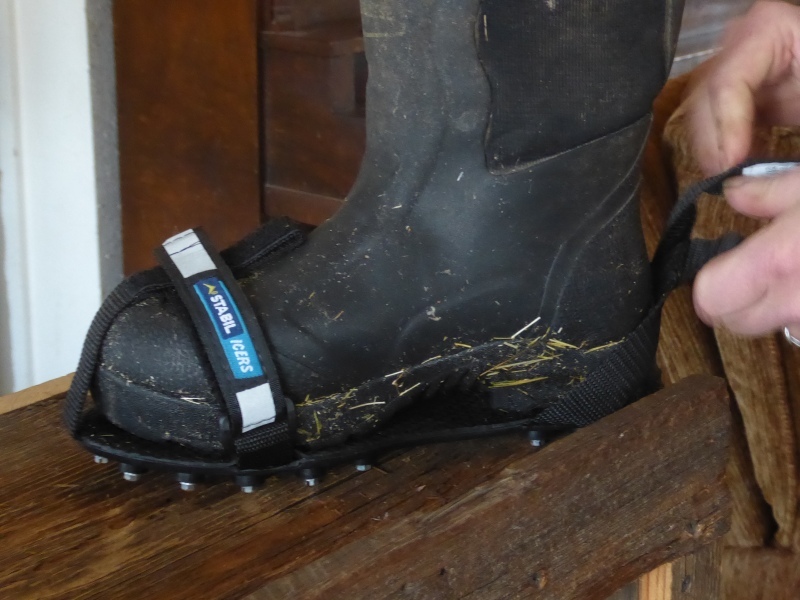 After recuperating for a few minutes, I strapped the cleats onto my boots and went to do barn chores. What a blessed relief to be able to walk safely. Here's ice sheathing the car window. Don and I haven't taken the cleats off our boots yet. Yesterday mid-morning, when conditions were at their trickiest (still icy, still raining, so the ice was hidden), UPS drove up to deliver a package. I snatched up my boots and went out on the porch, calling to the driver, "Watch out! It's slippery!" as I hopped into my boots. Evidently the driver knew that already, because he emerged from the truck doing the Tim Conway Old Man shuffle. I dashed over to the truck to keep the driver from walking any further than he had to. 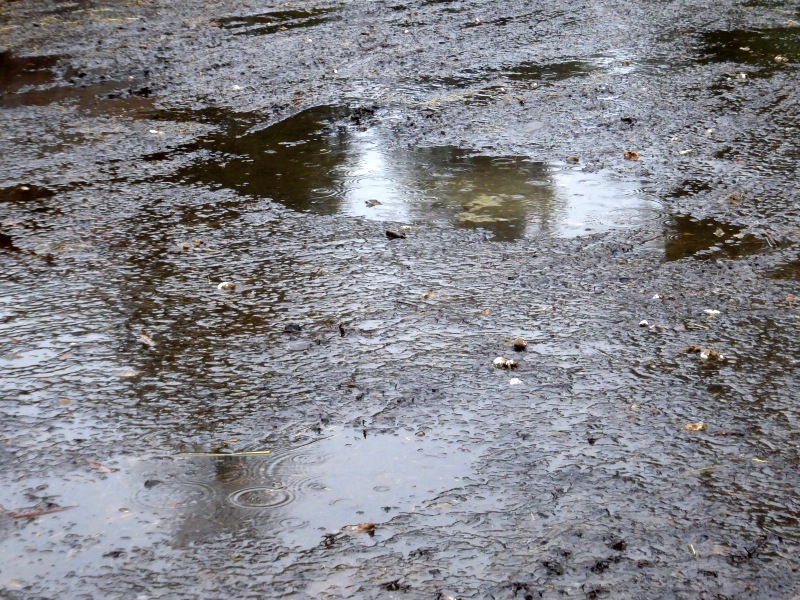 He said the road was insanely slippery coming in, and shuffled his way back to his truck. So yesterday afternoon I decided to walk to the mailboxes, cleats and all. It was a good thing I was wearing them, that's all I can say. Three miles is a tiresome length of time to walk in boots with cleats, but the cleats didn't break and become useless as my first (cheap) pair did that time several years ago. Yep, these cleats are an excellent rural winter tool -- highly recommended for anyone facing icy conditions. Are you really serious about your mailbox being 3 miles away or does it feel like 3 miles to walk there? This would be 6 miles round trip. Nope, it's three miles round trip. Walking six miles in cleats? Wouldn't happen. In our town the USPS does not deliver. Period. They give you a 'free' mailbox inside the Post Office. It was 7 miles away. Be careful with that head injury. Hopefully you didn't do any serious damage. I was in an accident several years ago. A truck ploughed into the back of my stopped-in-traffic car. Even though I didn't hit my head on anything, just the impact alone was enough to give me headaches for months. Take it easy. 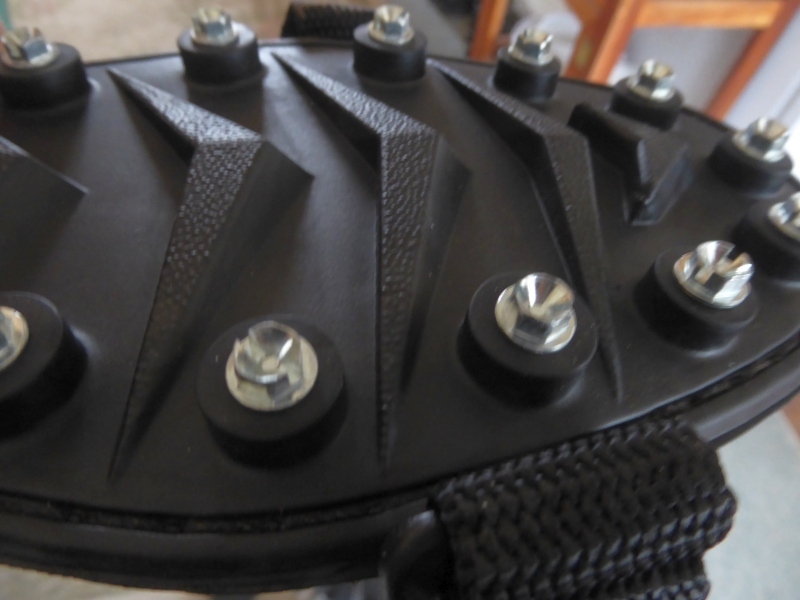 I now have a dedicated pair of shoes with cleats installed. I got the shoes when about 5 years ago I went to the mailbox without taking the time to put the cleats on my shoes. I fell and while I was laying there thought (A) the was beyond stupid and (B) this was how old people broke hips. I hope your head is OK. And the rest of you too. I'm a little surprised you don't have an ATV or something to run to the mailbox with. Fascinating - totally sensible, but I had no idea they were commercially available. We use the popular Yaktrax cleats which work good but your brand looks much better, especially on snow covered ice. Two caveats. As Cederq mentioned, they will damage/destroy many floorings. 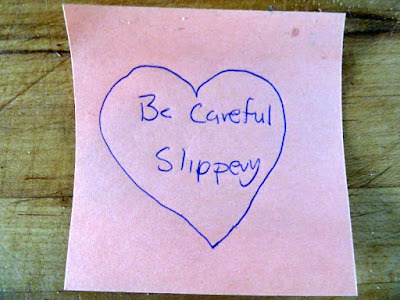 Secondly they can be very slippery on hard floorings such as tile. 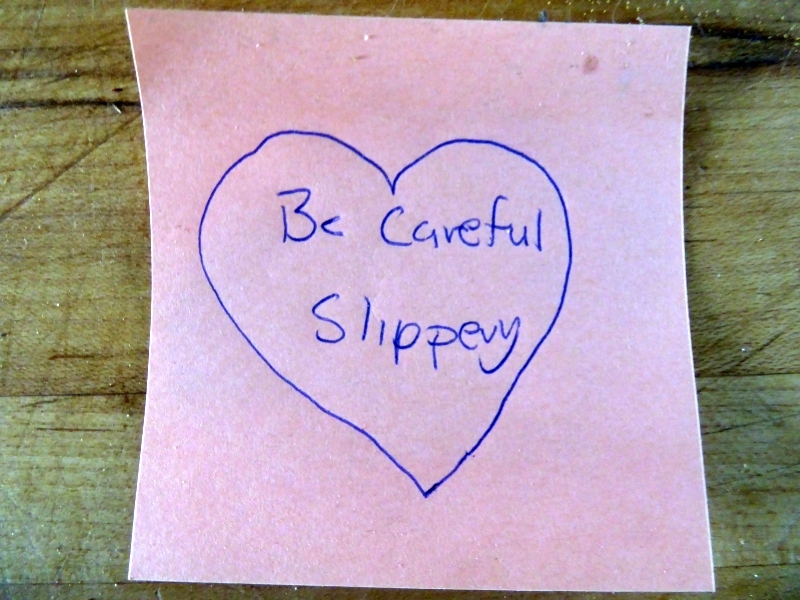 Yacktrax are slippery even on laminated flooring. They can be a pain to put on so we saved a set of old boots and left the cleats on them all winter. 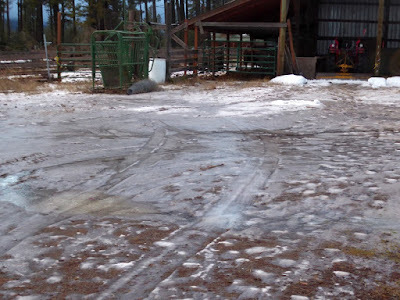 We too had a bout of "nothin' but ice" earlier this fall. Things were "Tim Conway treacherous" for man and beast. Hubby helped elderly neighbor rancher bring in rogue cows on horseback. "SCAREEEY"! Cows were trying to run away (in slow motion) horses were trying to turn them back (in slow motion) and cowboys were praying that everyone stayed upright. One cow had to go to hamburger heaven. She had managed to freeze both sides of her udder to the ground and make a real mess out of herself. Country there is way too rough for a 4 wheeler (which are very expensive, don't turn well and aren't watching the heard for an aggressive cow or bull). We have had a couple of horses who are protective of the guy who is busy on the ground if a cow tries to take him. They also watch because a) they don't want to get hit themselves or b) they will bite or brace and hit the cow back in a "Stop That" gesture. a crack that hard can be a concussion maker. Did Don run you through the concussion protocol? Prayers for complete, fast healing! Love my Stabilicers... Have 2 pairs. Lite duty that stay at the house and heavy duty that stay in my vehicle bag. I don’t know if anyone is on here now or not, but my BIL could use your prayers. He’s stranded on the interstate in this winter storm. He’s not moved for over seven hours (before 5:00pm Central time). Thank you for your prayers and concern. Yes, he made it home safely. His 45 minute drive home from work took 10 hours. My sister was worried sick. That's the brand we have, yes. Within the brand, the company makes different types. Wonderful inventions IMHO. I keep thinking I ought to get some, but there's so many different styles! These just went on my wishlist for the next time I have the money. We hooked the drag/harrow behind the ATV and drug it around the yard. 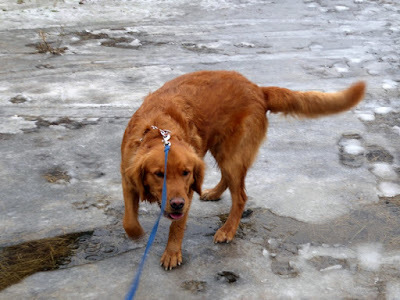 It broke up the ice and made it safer to walk around. 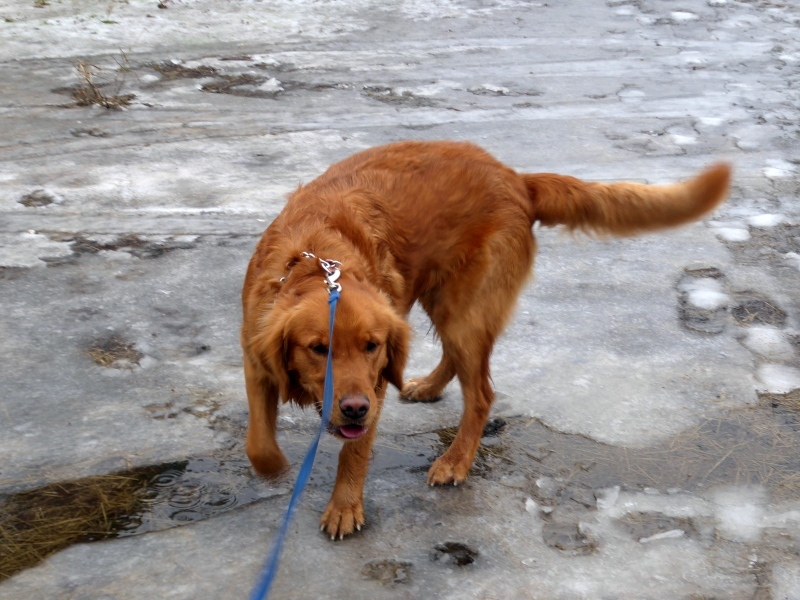 Also helped melt the ice the next day when it was warmer/sunny. Here in Missouri we get lots of ice. here's a redneck go to. Google "gang Nails" so you know what they look like. They use these to construct trusses, the silver squares at each joint. Purchase small ones 2in x3in work well. 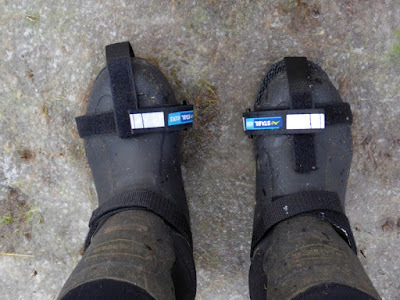 Attach them to the bottom of your boots by wrapping duck tape around your boot. Instant traction.